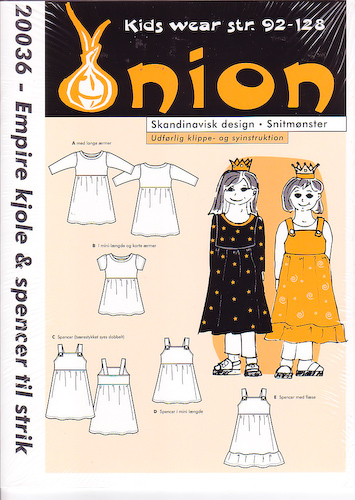 A+B: Dress with empire design. The upper part of the dress is a fairly snug fit and the skirt ruffles. Slight ruffles at the sleeve inserts. Neckline out the same material as the dress. 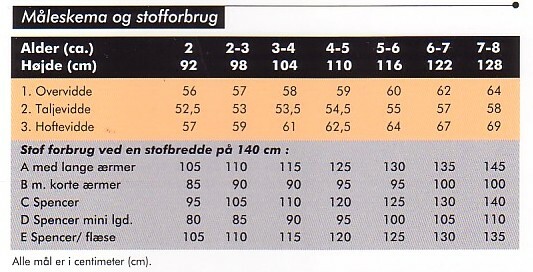 All designs are for elastic knit fabric such as T-shirt fabric.